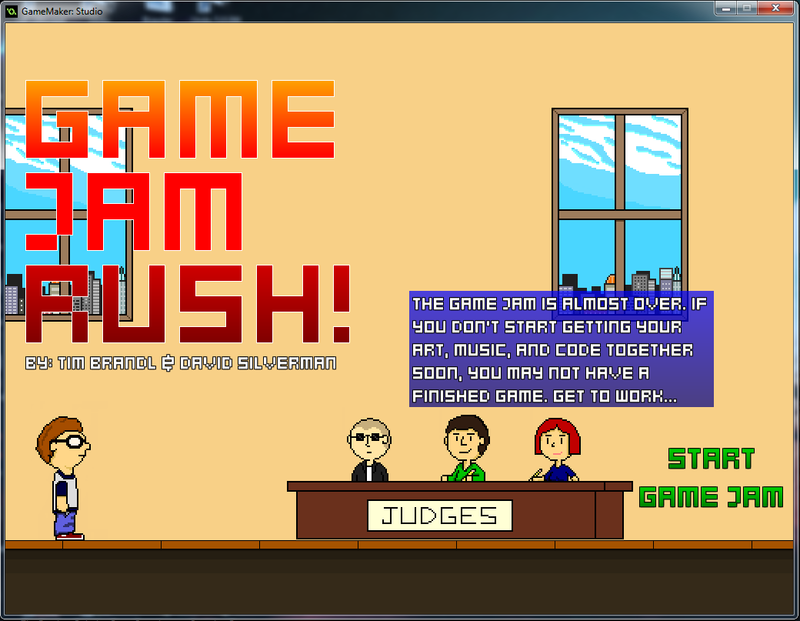 Okay so Ludum dare has been going about 5 hours. while I wish I had gotten off to a faster start, I think I’m doing okay right now. So far, I’ve set up some basic movement for the player, I’ve done some planning for what I want to have in my game, and I’ve started working on the weapon system. Currently I’m planning on having 4 weapons with 5 states the player can be in, Unarmed, Pistol, Shotgun, Uzi/Machine Gun, and Flamethrower. Most likely I will either add a melee weapon, change unarmed to be fists or a melee weapon, or switch the flamethrower for a melee weapon. At this point I’m only planning on having two enemies, Slow Zombies and Fast Zombies, but I may add some others if I come up with more ideas. Anyway, here are two progress shots. they look lostly the same except for the weapon that’s equipped, and even that isn’t represented on the player yet. As you should be able to tell, I am still using entirely temp graphics. 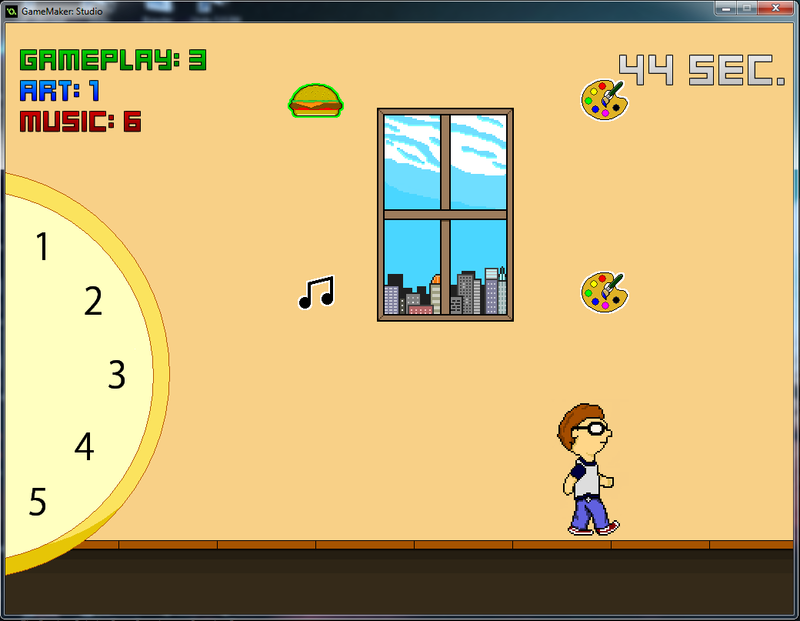 I wanted to make sure that the gameplay was working before I started actually working on graphics. Right now I have a pretty simple weapon system which allows the player to fire their weapons and reload( not at the same time though). I haven’t setup the firing system yet for the Uzi or the Flamethrower since they don’t work the same way as the pistol and shotgun, but that’s what I plan on doing next. From there I will most likely make some basic zombies to walk around and fight/avoid, and add ammo to be picked-up. Finally, after I have the basic interactive elements down, I plan on designing the level. So it took me a while, but I finally settled on an idea for Ludum Dare. I am going to make an top-down shooter which is a zombie game where you can only do one ting at a time. It’s not the most original game idea in the world, but I think it’ll be fun to work on, and it will allow me to make a horror type game and an overhead shooter at the same time. Some of the things I want the player to be able to do include scavenge for items, shoot with various types of guns, lock doors, and build barriers. Also, the player will obviously die after 1 hit. There are a lot of ideas here that I’ve never done before, but even if I fail, it’ll be worth it to try and make something new. Anyway, here are my tools. Well, I guess that’s everything. I’ll try to have an update soon on my progress.